Movie star Cliff Curtis says the haka-inspired idea came from 'Tuku Iho' a Te Puia Tourism cultural group during their performance to director James Cameron last year in America. Curtis spoke up following his recognition at the Kea World Class New Zealand awards in Auckland. Return to the River is a new musicale fushion by Rakaumangamanga School, that tells the journey of Te Puea Herangi in establishing Tuurangawaewae. It will showcase at the 11th Coronation anniversary of Kiingi Tuheitia Pootatau Te Wherowhero VII this week. New Zealand has been tipped as one of the locations to film the sequel of Avatar. 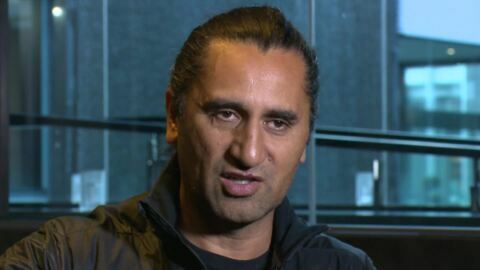 Movie star Cliff Curtis Maori Television to share his news with our reporter Taroi Black after meeting up with the film director, James Cameron, since landing a new role in this billion dollar franchise. The much-loved animated series now brought to you dubbed in te reo Māori. Repeats 6.40am.